Lexus is bringing some heat to the 2019 Chicago Auto Show with the first public appearance of the 2019 LC 500 Inspiration Edition. The third vehicle in the Lexus Inspiration Series, this LC 500 is a limited-edition model that features a unique mix of colors and features that build on the coupe's stunning design. 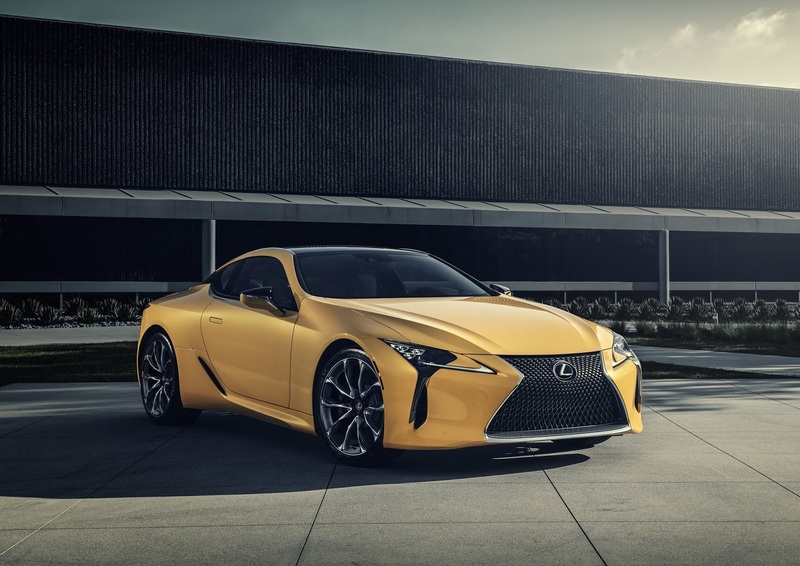 All LC 500 Inspiration Series coupes feature vibrant Flare Yellow paint, a rich, metallic shade of yellow that's eye catching from a distance, yet subtly handsome up close where the deep layers of paint highlight every crease in the sheetmetal. Standard 21-inch wheels and tires give this LC the perfect stance while the carbon fiber roof and lower grille insert adds just the right amount of contrast.